It is hard to believe that it has been 10 years since I graduated from SVA, the School of Visual Arts in New York. In 2003, I earned my MFA in Design after two years of graduates studies at the MFA Design program of one of most prestigious art schools in the United States. So much happened in my life and career afterwards, and the program had so much positive influences on my growth as a person and as a designer in so many aspects. Ten years after, I look back at this wonderful educational experience at SVA to pick the most important 10 things I learned at the “Designer as Author” program. 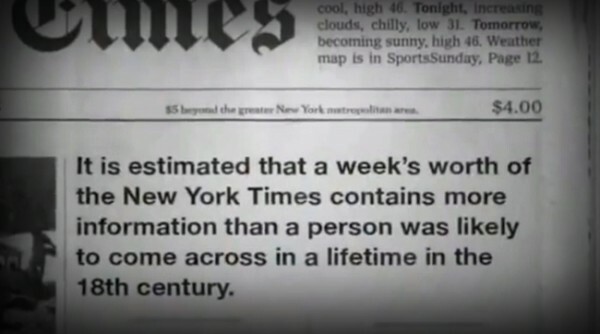 One of the best habits I developed at SVA was reading daily the New York Times newspaper. A habit made much easier today due to the wonderful digital mobile subscription the nytimes offers. One can argue that this habit has nothing to do with design directly. It did however give me ever since the best perspective on the world that surrounds us and the world that we design for. I don’t know when exactly this regular reading routine of the nytimes started. Maybe it was during Veronique Vienne’s design criticism classes, during which we often discussed the front page of the New York Times Newspaper and its visual and photographic choices. Or maybe it was during my visits to the New York Times offices at Times Square area, for the advising meetings with our school co-chair Steven Heller, who was at the time the art director at the Newspaper. Entrepreneurship in the context of design is certainly one of the most valuable skills I learned at SVA. After all, design entrepreneurship is the key focus of the program, a focus that creates a delicate mix between business and design. This was in my opinion the main reason behind being able to set up my own design studio right after graduation and managing it as a successful business model for more than a decade now. It all starts with writing the right business plan and finding the niche and commercial viability of your ideas, vision and services in the design world. This certainly helped me understand many of my clients who are entrepreneurs looking for the right visual strategy for their concepts. It encouraged me as well keep my own entrepreneurial typographic approach that I started at SVA: Designing and developing arabic and bilingual typefaces that fit a very specific niche market; becoming products with a significant commercial demand and being “sold” to some of the most visible brands across the Middle East. 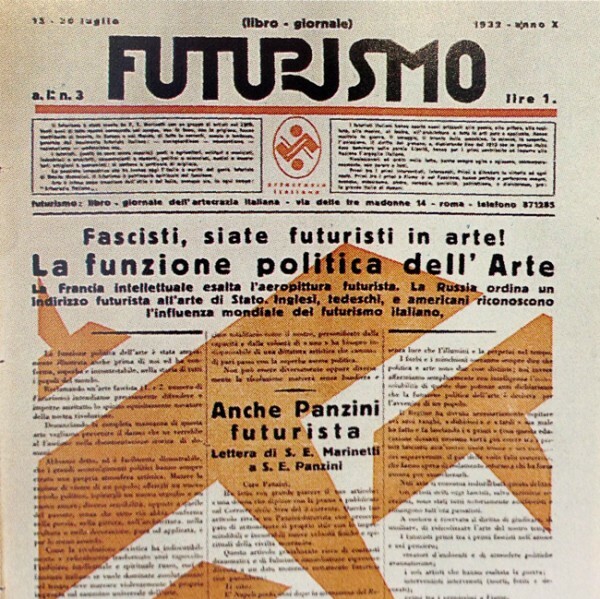 Futurismo’s Newspaper front page: Unique Italian vernacular typography from 1933. From “Italian Art Deco” book by Steven Heller and Louise Fili. SVA refined further my typographic sensibility and nourished my continuous interest in lettering and type. Not surprising when most of our teachers were typographic masters. Take Louise Fili as an example: She is a typographic school of thought that left such an impact on my design practice (and on the rest of the design world). Her work process and approach in transforming Italian heritage into a fabulously crafted typographic language is something I will never stop studying and examining and learning from ( I think I was the first person to order her monograph “Elegantissima”). 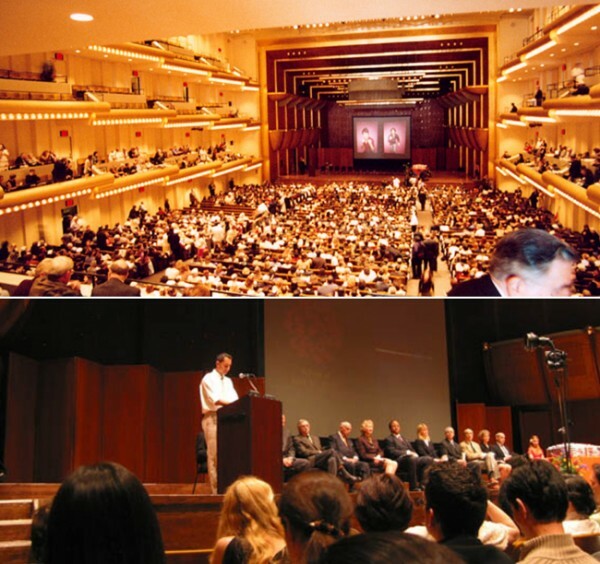 I was the valedictorian of the 2003 graduation ceremony of SVA at the Lincoln Center in New York. Ever since, public speaking has been something I am at ease with. I certainly developed my confidence in public speaking at SVA. To start with, we had an external visiting speaker every week at school. Each speaker shared with us his personal path in the world of design through an engaging presentation that was often in itself an eye opener on how to narrate design theory and practice. My most valuable public speaking learning experience however was at graduation day, when SVA gave me the unique and unforgettable opportunity to be the valedictorian of the commencement ceremony. Speaking at the Lincoln Center in front of an audience of nearly three thousand people, I had the chance to talk about Beirut of the 80s; to quote Edward Said; and to share my positive experience as an Arab student in a post 9/11 New York City. Speaking in front of such a large audience made it certainly easier to speak in public afterwards: In all the lectures and design talks I gave afterwards in 20 different countries, I never had a larger crowd than this! The words of Paula Scher that became my work motto: Work for fun, work for money, work for society. Part of her design philosophy shared with us in her branding class at SVA. Paula Scher couldn’t have said it better when describing what a designer should aim for in work: Work for fun, work for money, work for society. A simple explanation that summarises the “balance” that I have tried to achieve in my work ever since attending her classes at SVA; a balance that makes work rewarding and constantly interesting. This simply became my work motto. It was part of the bigger approach at SVA which encouraged keeping the passion of an artist towards design work- yet never being a starving artist as a result of doing what you enjoy doing. There is simply no separation between work “for fun” and work “to pay the bills”. While maintaining my love and passion for design, in a business context, I made sure to choose every year one project of significant social importance to design on a pro bono basis. My interest in design history and the research of the history of Arabic graphic design was triggered at SVA. Shown above a sample of the large collection I have gathered over the years, from the work of Mehyedeen al Labbad. It is not surprising to develop a strong interest in design history as a graduate of the MFA Design program. After all, the Co-Chair Steven Heller has authored more than 100 design books, many of them look into the history of the design proffesion. He also conducted the Paul Rand memorial lecture series on the history of graphic design that covered our graphic design ancestors; particular movement from the last 150 years and other themes that included the relation of design to racism, symbolism, type, Modernism and the Modern. I have carried this interest in design history to research the poorly documented history of Arabic graphic design and to assemble over the years a very large collection of vernacular and historical printed design material from across the Arab world. 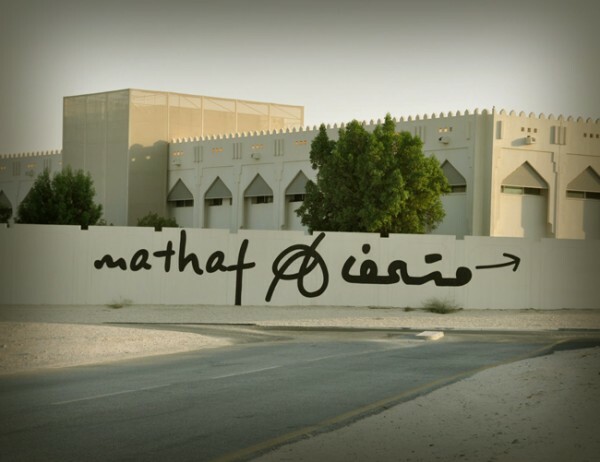 Funnily enough, it was in New York that I started to discover and study in depth the work of legendary Arab designers that shaped the development of the profession in the Middle East. 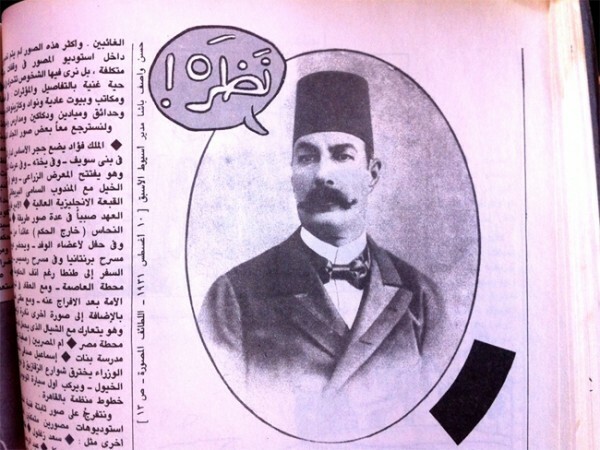 One of them being the late egyptian graphic artist Mehyedeen al Labbad, who I call the father of Arabic graphic design. I have collected many of his work and books which were a visionary collection of design practice, theory and criticism. Analyzing his approach and work is a continuous research subject that I carry and which provides a rich source of inspiration. The program offered the chance to visit prestigious design offices in NYC. 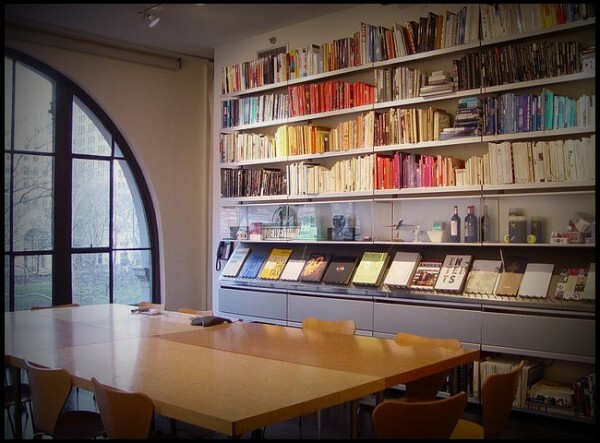 Several sessions of our classes took place at Pentagram design offices! SVA provided the wonderful opportunity of visiting some of the top design studios and firms in New York City and to talk directly with their founders, principal designers and creative directors: Pentagram design; Mucca Design; Louise Fili Ltd; Doyle partners; Ogilvy & Mather; just to name a few examples. This provided a good perspective on different models adopted by various design businesses. The school’s network gave us as students the contacts needed to get advising on our projects by leading designers. I recall having the opportunity to visit the offices of Hoefler & Frere-Jones and take direct feedback from Jonathan Hoefler on one of the type design projects I was working on. In addition, the faculty at SVA- all of them practicing designers- generously donated some of their time and welcomed us in their studios when needed. I will never forger meeting Bonnie Siegler in her office at studio 17 just before leaving New York as i was planning the business model to adapt for my own design studio. Bonnie shared with me her tips on her experience and challenges in starting up her design business. It was such a helpful conversation that I recalled so many times during the past 10 years. The integration of a course within the MFA design program that covers the basic legal issues of contract and intellectual property law has been an incredible supportive knowledge that backed up my creative business practice. Besides covering the law of copyrights, trademark and patent from the perspective of the professional designer; the course faculty attorney Frank Martinez helped us as students individually to draft contractual documents for our specific innovative projects we brought to the market as part of the “designer as entrepreneur” school of thought. I work regularly today still with Frank Martinez from “The Martinez Group” to help my clients register and protect their designs, products and fonts. Poster design from my portfolio which I designed while in New York. Left: Chess musical poster designed at SPOTCO under the art direction of Gail Anderson. Right: The Body Exhibition poster designed for SVA in collaboration with Kiki Katahira. As an international student coming to the United States for education, there was an opportunity to learn a lot about American working culture, generally but also specifically in the context of the design industry. This happened as a start within the school, where a lot of the exhibitions, internal projects and school events were done in collaboration with the students. It was a source for valuable experience in understanding the American business and professional approach. This was reinforced by opportunities for internships or work provided by faculty members, all of them with a full time career in parallel to their part time teaching at SVA. I was lucky to work for a short but insightful period under the art direction of Gail Anderson at SPOTCO, a design firm with a focus on designing for broadway theater and entertainment events. Today I still regularly work through my own studio with many American clients and I definitely feel that the experience gained at SVA helps me tremendously in easily communicating with them and in understanding the American business culture. “What colors are your dreams?”. 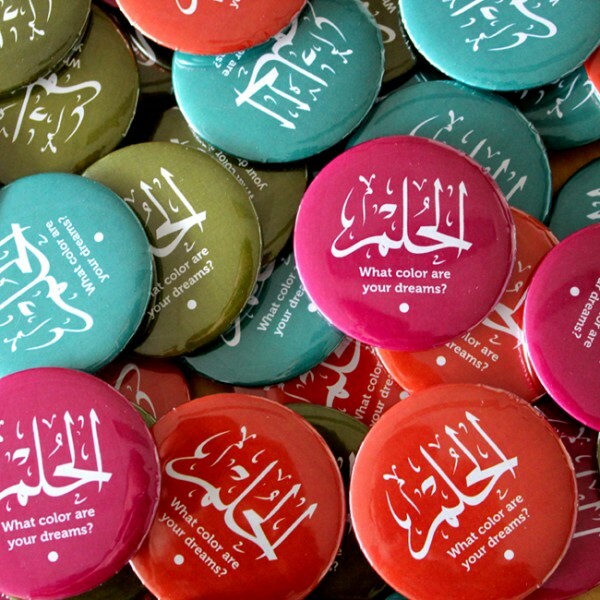 Pins I have designed for the Colors of Asia Exhibition by The Design Alliance Asia at the Hong Kong Design institute. At SVA, our dreams were of all colors! SVA simply taught me to dream big and to believe in getting things done. With incredibly successful faculty around school such as Stefan Sagmeister, Paola Antonelli, Milton Glaser, Brian Collins, Maira Kalman, and many others; one would only grow to believe that anything is possible in a design career. Many people today are questioning the need of going to graduate school and argue that the investment is not worth it in our current times. I remain strongly in favour of graduate studies as I believe it provides any designer with a wider perspective on design and a chance to develop a more solid design personality and plenty of new contacts that will always generate long term career opportunities.